Who Doesn't Like Jerky? 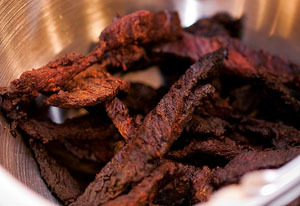 Here are some easy Venison Jerky recipes for you to try. Whether its from the microwave, the oven, or your favorite smoker... "Nobody doesn't like venison jerky!"